Posted October 3, 2018 by Apoch. 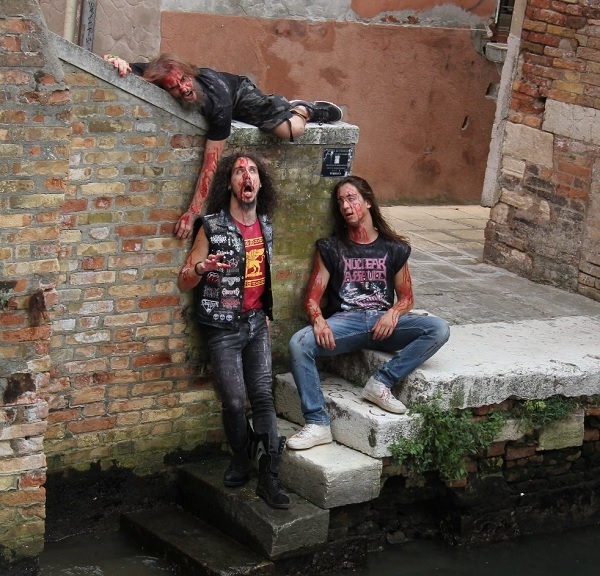 ENVENOMED MUSIC, with NARCOLEPTICA PRODUCTIONS, is proud to announce “Morality’s Collapse”, the new studio album by Italian death metallers MEMBRANCE! The follow-up to their 2017 debut “Depths” will be available in a digipack format on January 15th, 2019! The cover art is another impressive concept painting from Giulia Croce (in art “Ivory Crux”) which represents the new evil morality nested in the Ducal Palace (Palazzo Ducale) in Venezia. In a key: Satanic-splatter. The record has been mixed and mastered at 16TH CELLAR STUDIO in Rome (the producer of many of important works of famous bands like FLESHGOD APOCALYPSE, HOUR OF PENANCE, HIDEOUS DIVINITY and SCUORN) with a sound that tributes the traditional Swedish death sound from legends like DISMEMBER and GRAVE. Press release provided by Envenomed Music.